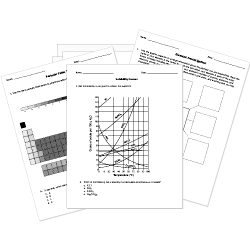 You can create printable tests and worksheets from these Grade 12 Atomic Structure questions! Select one or more questions using the checkboxes above each question. Then click the add selected questions to a test button before moving to another page. For a given quantum shell, what is the order in which the shielding ability of inner electrons decreases? How are isotopes of an element different from one another? Why is the ionization potential of nitrogen (atomic number 7) greater than that of oxygen (atomic number 8)? Nitrogen is more stable than oxygen as its outermost valence shell is half-filled. Nitrogen is less stable than oxygen as its valence shell is half filled. Nitrogen is more stable than oxygen as its outermost valence shell is completely filled. Nitrogen is more stable than oxygen as its valence shell is half filled. According to Coulomb's law, the energy between an ion pair is inversely proportional to which of the following parameters? What is the % of s character of in an [math] sp^3 [/math] hybridized orbital? What is the bond angle of a [math]BF_3[/math] molecule? Which of the following hybridizations does [math]IF_7[/math] undergo? What is the % of s-character in an sp-hybridized orbital? Which of the following molecules undergoes sp hybridization? What is the bond angle of a compound that undergoes [math]sp^(3)[/math][math][/math] hybridization? What is the ionic radius of [math]Al^(3+)[/math][math][/math] in picometers (pm)? Which of the following covalent bonds is associated with lateral overlap of atomic orbitals? The process of mixing of different atomic orbitals belonging to the outermost energy level in an atom to give same number of new orbitals of usually equivalent energy is known as hybridization . The process of mixing of different atomic orbitals belonging to the outermost energy level in an atom to give same number of new orbitals of usually equivalent energy is called hybridization .